Have you ever wondered where witches’ cats go when they pull a claw? Or what you do with a pygmy phoenix with a case of bird flu? Nan and Clarion have you covered. They’re the best veterinarian witches of all time-or at least they’re trying to be. When an injured rabbit with strange eyes stumbles into their lives, Nan and Clarion have to put down their enchanted potions and face the biggest test of their magical, medical careers. 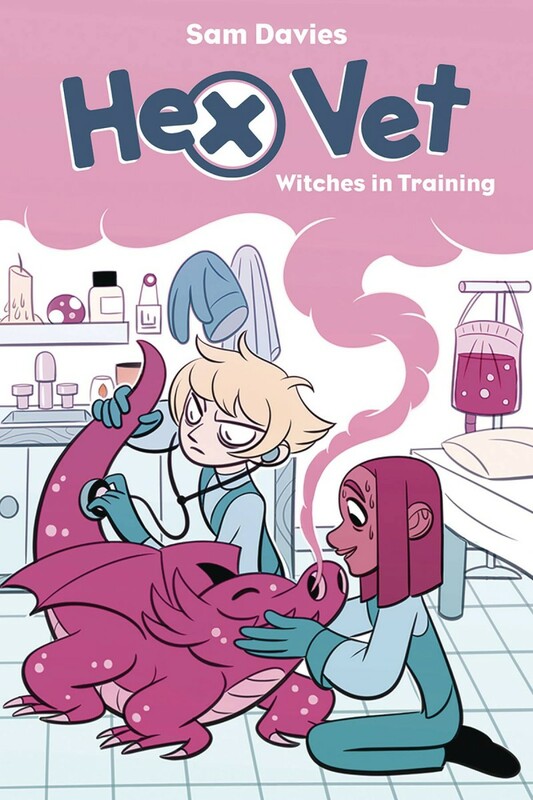 Hex Vet: Witches in Training is an original graphic novel suitable for kids of all ages! From popular web cartoonist Sam Davies (Stutterhug), this book explores a truly spellbinding story about sticking together and helping animals at all costs.